Over the past several months I’ve received a number of E-mails and calls related to the issue of conversion. So, I thought it was time to focus some additional attention on this potentially touchy issue. Why is Conversion a Touchy Issue? In most instances, this subject isn’t a touchy issue. That’s because most couples deal with this challenge respectfully and prayerfully. Moreover, the end result of their conversations is that some couples decide to remain intermarried religiously, and others become single church, single faith couples. These couples indicate that their discussions and decisions served to enhance marriage and family life. However, there are a small, but sizable number of intermarried couples who encounter challenges related to conversion. In these cases, the decision to convert was not based on the convert’s personal choice, but instead on outside control and manipulation. Here’s a typical example. A mother tells her newly engaged daughter, “Unless he converts, we’ll withhold our blessings, and he won’t be welcome in the family.” As a result, the daughter makes the following request of her fiancée, “Convert for me.” He, in turn, senses that there is something more behind this request, but does not seek a full explanation, he simply converts to please his fiancée. A few months after the wedding, his suspicions are confirmed when he discovers that his in-laws offered his wife the above ultimatum before they would accept him. This discovery creates some distance between himself and his wife. He also remains very uncomfortable around his in-laws. When manipulation and control are the catalysts used to facilitate conversion, resentment and anger usually emerge. Sometimes this happens immediately, and at other times months or years may pass. In either case, the pressure tactics used and the feelings that result from these types of strategies have a negative impact on marital satisfaction and family stability. The reason why resentment and anger appear is because conversion is a personal issue and a personal choice – one that inherently should involve the individual and God. That’s not to suggest that it’s not also a marital, family and extended family issue. It is. But at the heart of this decision there should lie a very prayerful, private moment of choice that involves a person’s freedom to choose. Moreover, if this isn’t the catalyst, and outside pressure and manipulation ends up motivating the conversion, then anger, fueled by feelings of resentment, are likely to emerge. 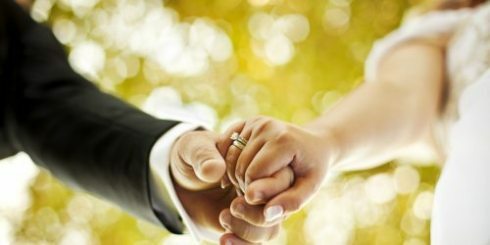 While I believe that it is absolutely essential for couples from different faith backgrounds to consider the issue of conversion, my research and work with this population suggests that it is also essential that the potential convert be given the latitude to consider this issue privately and prayerfully. Moreover, I would maintain that this prerequisite is very Christian and very Orthodox. A quick glance at how God relates to us should validate this last point. Does God seek to force us into making a decision about anything? No. He created us with free will, and permits us the space to exercise our free will. Admittedly, He may not always agree with our choices, but He doesn’t violate our freedom to choose. On the contrary, He’s always there to offer guidance and direction with the tough choices, but He won’t impose His will on us. So, if God doesn’t force, manipulate or seek to control our decisions, then it should follow that we shouldn’t either – the touchy issue of conversion is no exception to this guideline. When I receive an E-mail or call from a fiancée, spouse, mother, father in-law or even in some cases, another family member asking me for some strategies that will help them convince a potential convert to convert, I’m inclined to offer the following feedback. Liberal amounts of care and prayer are essential during this process. Conversion is a personal issue. If it’s not approached this way, problems can result. A potential convert needs space – space that permits them to make a prayerful decision. Information and a welcoming spirit are also crucial to an individual’s decision. Often, when it comes to this challenge, the timing needs to also be right. For example, it may be that extended family needs and concerns preclude such a decision. At other times it may have something to do with issues related to feelings of betrayal. At other times it’s simply a matter of personal preferences. At other times, it’s a combination of these factors and others. For more information, you might want to consider purchasing a book I’ve written for engaged and intermarried couples. It’s entitled, When You Intermarry: A Resource for Inter-Christian Intercultural Couples Parents and Families. You may purchase this book by calling 800-245-0599 or by asking for it at your local church’s bookstore. Should this issue linger, and remain unresolved, and it is compromising marital satisfaction, then I would suggest that it’s time to seek outside help. The most logical person to turn to at this time is your pastor(s). In addition to your pastor, you may also need to consult some professional help from an experienced couples therapist. Should you choose to exercise this option, consider turning to your pastor for some help in identifying a qualified professional. He’ll likely have the names of some competent professionals with whom he has collaborated. While most couples are able to avoid controversy and challenges when dealing with this issue, a small but sizable number fail to do so. Whether you fall into the first or second category, if you remember to deal with your differences respectfully and prayerfully – that’s a good start. Such a strategy will assist you in your efforts to either promote marital satisfaction or reclaim it.